Best Camaro Ride On Cars for Kids! Best Camaro Electric Powered Ride on Cars for Kids! Like I said before, children are driving the most gorgeous cars nowadays! I think their cute electric cars are better looking than the adult cars! I found a few gorgeous and very colorful Camaro electric ride-on cars for kids for sale online and I had to create this page showing them off! Check out this insanely gorgeous bright yellow Chevrolet Camaro for kids! It is a two-seater car, which means your little boy can also take his baby sister for a ride around the block! It goes up to 5 mph which is pretty powerful and fast for a 3 or 4 year old kid! After the car is fully charged it will run for approximately one hour non-stop. Is this an awesome Christmas gift idea for a 3, 4 or 5 year old boy or what?? *Check out this 2 year old boy learning how to drive his yellow Camaro car for the first time! Beautiful Camaro Ride on Cars for Kids! 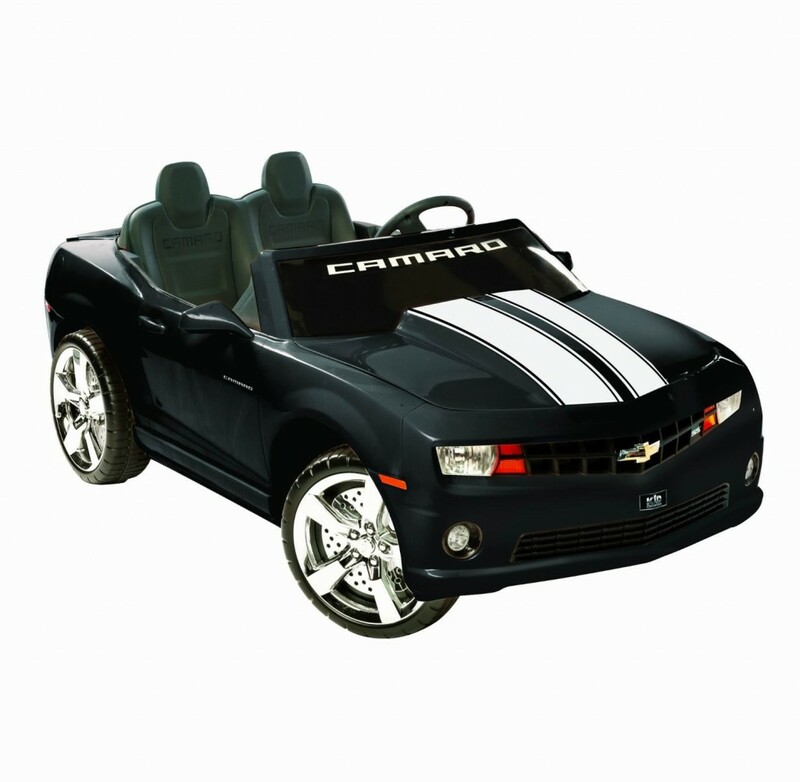 Gorgeous 12-Volt Two Seater Black Camaro for Kids! 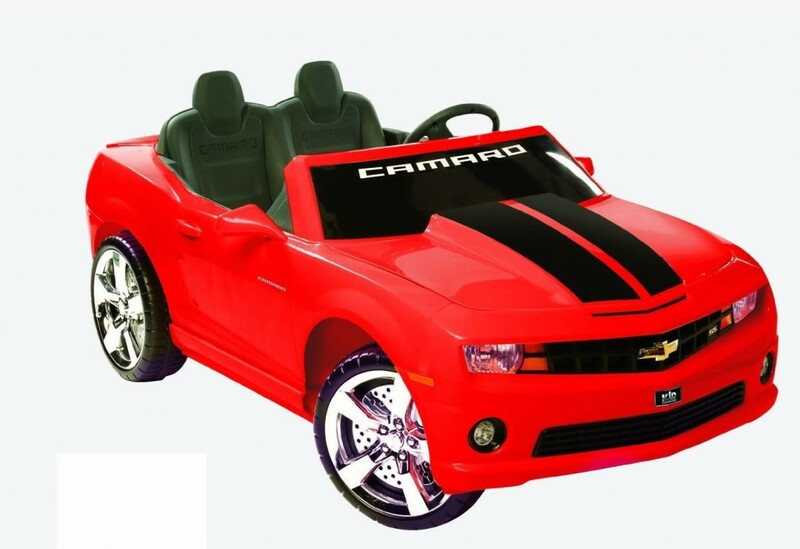 Check out the new black Camaro car for kids! Is it ‘hot’ or what? These also have a cool MP3 outlet that allows you to connect their favorite music and real working radio! Boys love the cool engine sounds and they also love to drive the car in reverse! *Check them out here! The black one, yellow and red Camaro for children in action! Beautiful RED Camaro for Kids to Drive! I bet all the daddies are getting jealous by now! Now their 3 year old sons can drive a gorgeous RED Camaro every day! They love to use the forward and reverse gear control, just like dad! Check out The PINK Camaro for Girls! Now it’s time for all the girly 3 and 4 year old drivers out there! It is the perfect 3 year old birthday gift! *Check out this little girl driving her new Pink Camaro car! Pink Camaro Style Ride On Car for Toddlers! 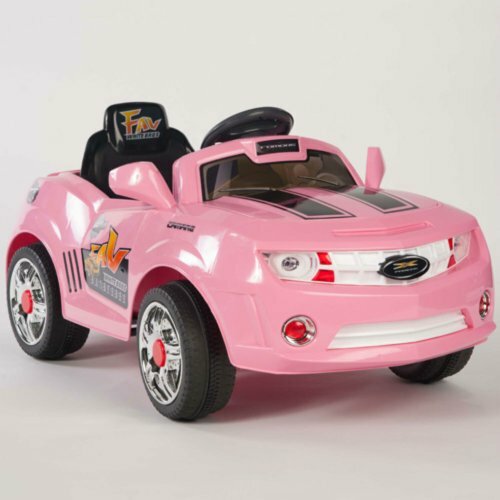 This is a very cute and loads of fun pink Camaro style ride-on car for 1 and 2 year old toddler girls! The max speed is only 2.5 mph which is very safe, but for them it is a lot of fun! It has a remote control for mom and dad help their little ones for their first drive! Overall it is a great first car for your 1 or 2 year old toddler! 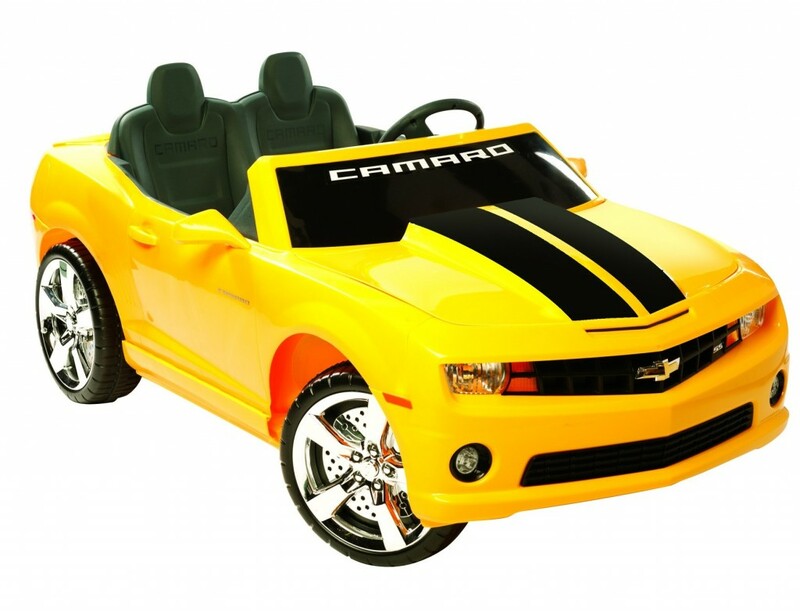 WHITE Camaro Style Car for Toddler Boys or Girls to Drive! 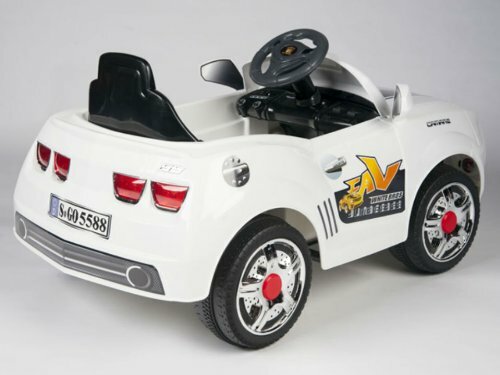 And now it’s time for your toddler boy or girl to drive a cool white Camaro style electric car! It has working headlights and sounds! Very cool ride for any 1 or 2 year old little boy or girl! *I hope you enjoyed these Camaro ride-on cars for children!